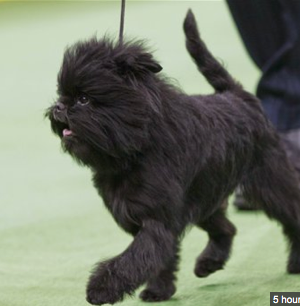 The Westminster Kennel Club Dog Show, which concluded Tuesday, honored a 5-year-old Affenpinscher named Banana Joe as Best in Show. Isabel Wilkinson goes behind the scenes. The Westminster Kennel Club Dog Show, which concluded Tuesday evening, brought out dogs of every variety—but eventually the top prize went to Banana Joe, a feisty, 5-year-old Affenpinscher that (even at his most majestic) resembled a furry gremlin. Banana Joe, who is said to be retiring after this season, bested six other dogs in the final round, including Oakley, a favored German Wirehaired Pointer and Swagger, a 90-pound Sheepdog who was by far the crowd favorite. This competition, his owners said, was the toy dog’s “swansong,” and apparently he’ll be retiring to Holland next year. The scene backstage was, unsurprisingly, not unlike Best in Show, Christopher Guest’s classic spoof on the world of dog shows. Justin, a 4-year-old West Highland Terrier from Long Island, was having his face hair-sprayed into the shape of a carnation. Sky, a fox terrier from Malibu, was having a towel-down after a bath, and Barron, a giant Great Pyrenees, was getting his hair plumped with mousse. “It’s dog mousse, but I use it on my own hair, too,” said his owner, Darla. As the evening evolved, and the events progressed toward Best in Show, tension grew backstage. Gilly, a silver-hair Cesky terrier, was “losing stamina” from all the noise and activity, and had retired to his chamber (a cage with a towel over it) for a nap before his group show. A pair of schnauzers was light sensitive and reacting badly to flash photography—and the owner of a Norfolk terrier was cagey about strangers getting too close to her dog. 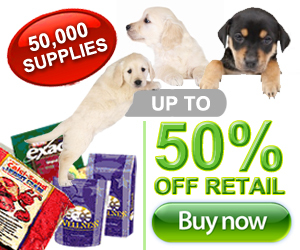 This being a world of dog lovers, there were several owners and handlers who resembled their pets. But some talent was more receptive to the attention. Justin the Westie had to be moved so he wouldn’t mess up his hairstyle while straining to look at me from his table—“he knows you’re writing about him and he wants you to take his picture”—while Swagger gave slobbery kisses to anyone in his vicinity. And, this being a world of dog lovers, there were several owners and handlers who resembled their pets. Swagger’s owner had equally buoyant silver hair, one handler’s chartreuse green suit matched her dog’s beaded neon coat and collar, and another handler had long pieces of hair on the sides of her head that resembled floppy ears. Backstage, there were dogs embroidered onto cummerbunds, velvet loafers, and bowties.